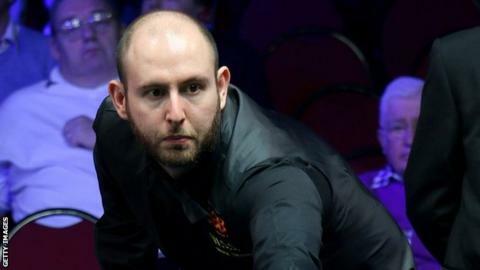 Matthew Selt said sloppy play and misfortune in the first session cost him the chance of an incredible Crucible comeback. The Essex-born world number 30 trailed Barry Hawkins 7-2 and 9-4 in the World Championship first round, but played some stunning snooker to level at 9-9. But the 30-year-old lost the deciding frame after missing a tough red. Selt said: "I put Barry under a lot of pressure in the second session but it wasn't to be." He continued: "There is no way I should have been been 7-2 down after the first session, I thought it was a bit of a liberty, so I thought I would attack." Selt, who now lives in Nuneaton, hit half-centuries in five successive frames from 9-4 down - including two tons - to draw level. He added: "Maybe I shouldn't have gone for the red in the final frame but if you are going to go out then go out all guns blazing. It was the right shot but I missed it. "I know what I am capable of and it is just a shame I went in 7-2 behind. I felt I was a little unlucky. But I threw a couple of frames away on Sunday and I threw a couple of frames away on Monday. "It is pretty much the toss of a coin in a final frame at this level. I played really well to get back in to it. "Things could have been different but that's snooker. It's such a fine margin between winning and losing."